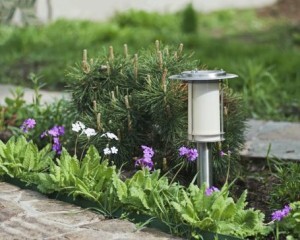 Enhance your landscaping with some outdoor lighting. If you’ve invested into your yard’s landscaping, then you probably have something worth protecting and highlighting. Using outdoor lighting, you can do both of those things. Lovely garden deserves to be treated with care and respect, so we’re going to talk about how you can do that today. Ready to learn more about how outdoor lighting can spruce up your landscaping? Well, here we go! Create a gorgeous scene in your yard. If you’re looking for a way to express your inner designer, then incorporating outdoor lighting into your landscaping can be the perfect way to do so. You can use some clever lighting and set pieces to create scenes throughout your yard. You could set up hedges with little lights that look like stars for a Deep Space theme. You could install outdoor lighting in your trees and then dress them up as jellyfish to make your backyard into an ocean scene. This may seem a little over the top for every day, but imagine the possibilities when throwing a party or holding an event. You could really transform your landscaping into a wonderland with outdoor lighting. Show off your gorgeous landscaping. Are you proud of your flower beds? Do you have a special place in your heart for your rose bush? Why let those beautiful plants disappear at night? With a little outdoor lighting you can admire your hard work at all hours of the day and night. This could be great for holding an evening garden party or simply relaxing in the back yard with some friends. We are experts of outdoor lighting and we can help you bring your dreams into reality. This entry was posted on Sunday, June 21st, 2015	at 9:35 pm	. You can follow any responses to this entry through the RSS 2.0	feed. Both comments and pings are currently closed.